Christmas is coming and that means one thing – Christmas presents. If you haven’t already taken advantage of the Black Friday sales and secured the gifts, you are probably thinking of it now. But what could make a great present for your little ones, when they have almost everything? 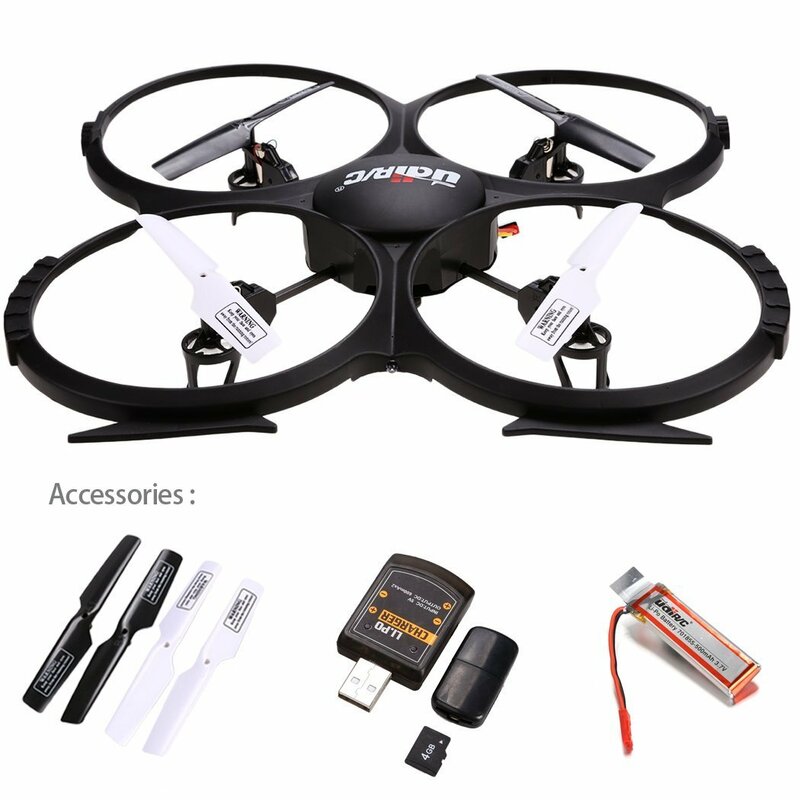 Why not a quadcopter or drone? Here is our guide to the best drones for kids. If you’re always complaining that your kids are sitting at the computer too much, gift them with one of these little thingies. Drone flying hobby is a fast-spreading hobby and has millions of enthusiasts. And the best part? It takes place outside. Of course, you’re not going to pay 1000$ for a drone right away, but you’ll probably think of a more affordable machine that will slowly introduce your child to the hobby. When it comes to teaching to fly, there are but a few aircraft better suited for this task than mini drones. These little copters are perfect for learning new skills if you’re taking up the hobby for the first time. Their miniature size enables you to comfortably fly them in the confines of your own home, and you won’t have to worry about losing it somewhere in the field or forest or in someone’s back yard. But if you wish to take such a drone for a spin outside, you can do so as well, as these things are perfectly stable even in the face of wind. 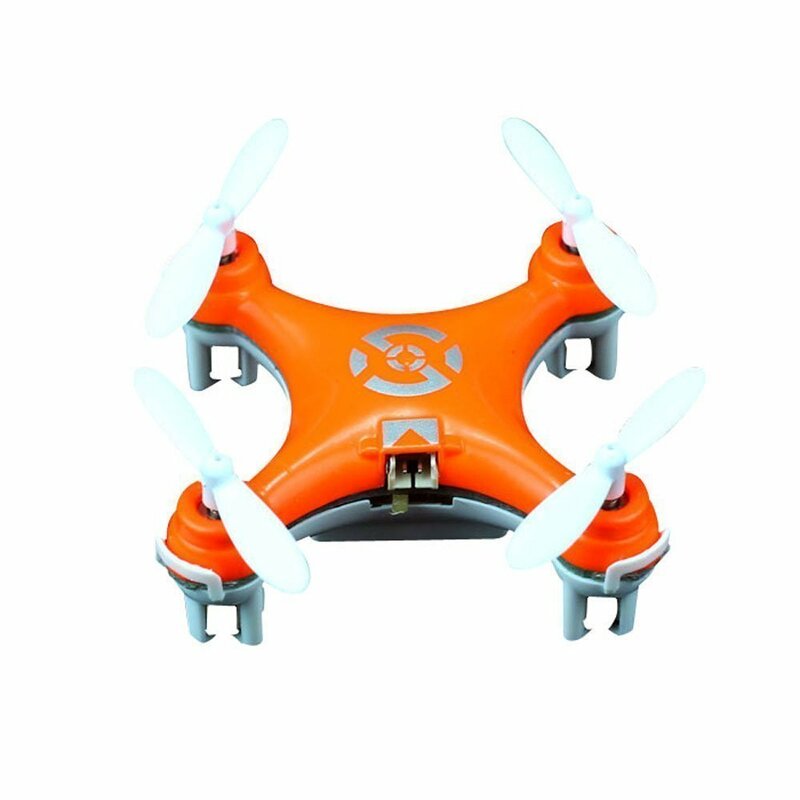 One such drone is the Eachine H8 mini quadcopter drone. This little guy has a 6-gyro stabilization system that makes the drone very steady in flight. It also enables it to do 360-degree flips, in whichever direction you desire. The drone has been outfitted with the headless mode which allows the pilot to orient the craft relative to the position of the controller, removing the need for a lengthy setup. Since first time fliers are bound to crash on occasion, the drone has pre-designed rotor protectors. But the most important and the best feature for beginners is the return home button. It allows you to automatically recall the craft wherever it is and land it, which is a great thing if you’re not sure where exactly you are (as the drone doesn’t have an onboard camera). All in all, your kid is sure to love this little craft and will have loads of fun with it. Very stable thanks to the 6-gyros stabilization system. 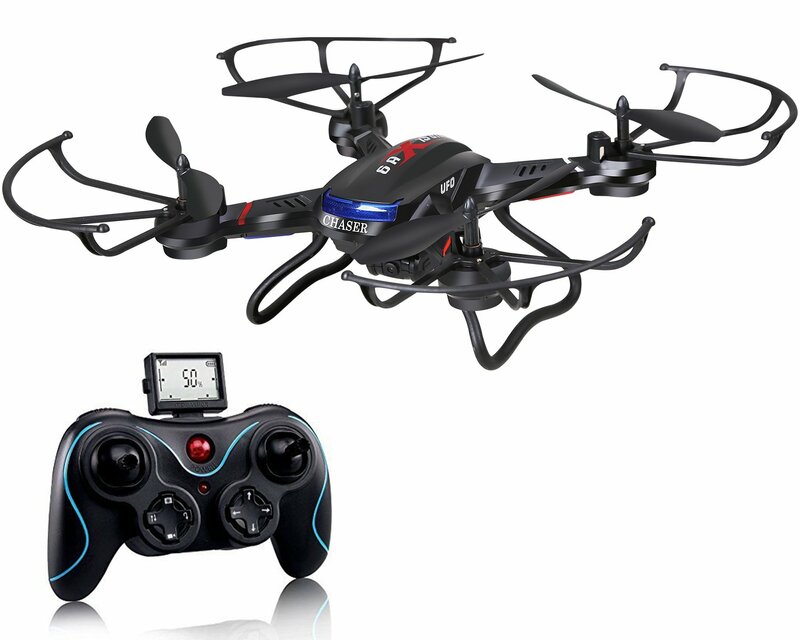 One of the best drones for beginner and children is the UDI U818A. But this is no wonder, really, as UDI is a well-known company that sells entry level crafts. What this means is that the drone is very easy to fly and very easy to maintain. Furthermore, the drone is very stable and very maneuverable and responsive to your commands. This is all thanks to the drone’s gyroscopic stabilization system, which is very common among entry-level aircraft. This gives the drone that extra stability that softens the learning curve for newcomers. It allows it to do the cool flips and tricks too. One of the best features of this drone is the Headless mode. This allows the drone to not have a “front” but allows it to fly forward in accordance with the controller’s “forward”. Just push the throttle and the drone will fly straight in that direction. The drone also has a video camera on board. It has 2 MP and films at 720 p, which allows you to take some cool photos too. Lastly, the camera also has a live stream option that lets you pair it up with your smartphone or laptop and see where exactly you’re going. The drone comes with built-in propeller guards. 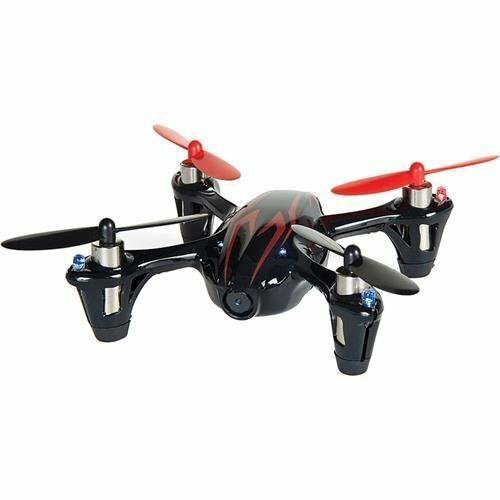 Good quality, entry level drone, very affordable. The drone has a headless mode that lessens the steepness of the learning curve. 2 MP camera with live stream. One key roll option (360 degrees, any direction). The guards cannot be removed. Coming up next is another drone from UDI, the U845. This flying saucer-looking drone is a ton of fun and a great way to get started in the hobby. It has very gentle learning curve and has a great feature that makes flying this thing a breeze. From the moment you turn it on, your child will simply fall in love with the craft’s simplicity and responsiveness, and its uncanny maneuverability. What set this drone apart from other drones in its class is that this is actually a hexacopter drone. The two added propellers, put into a circular pattern greatly increase the copters stability in the air. Add 6-axis stabilizer, and the drone is almost impossible to crash or lose due to strong gusts of wind. The copter, due to its circular shape, benefits greatly from having the headless mode. With this drone, you don’t have to worry if you’ve set it right, or if you’ve lost your bearings – the done doesn’t have a nose and doesn’t have a front end. Instead, the front end is the way the controller is pointing. Just push the stick and it will fly in the desired direction. The done also boasts a camera so you can take picture and film videos with it. The camera also streams live feed to your phone, so you have eyes in the sky and so you can see where you’re going. As per usual, the drone can do full 360-degree flips at the simple push of a button. Truly, the UDI know what it takes to make drone really great. Six propellers make the drone extra stable. Can do front, back and side flips. Live feed stream from the camera to your phone. Limited flight time and range. Up next, we’ve got one of the most famous, most affordable and the best mini-drone on the market. 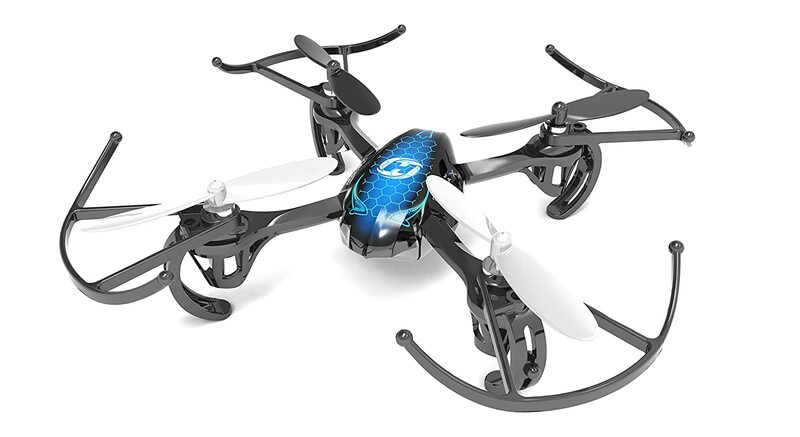 We’re talking about the Cheerson CX-10 Mini quadcopter drone. This little thing costing not more than 20 dollars provides excellent performances even despite its low price and small size. It is compact and, thus, perfectly suited to indoor flying, but has enough stability and handling to be flown outdoors even in the face of gusts of wind. What makes this copter so stable and manageable is the famed 6-axis gyro stabilizer. It makes the copter very easy to fly and very steady. The responsiveness of the controller is marvelous, as the controls are neither too soft nor too hard. This makes the learning curve very gentle, making this drone, in turn, a marvelous beginner’s aircraft. Being so small also extends the flying time of the drone. Having a small battery means that the drone can’t fly for too long, but its light weight allows the drone to fly for up to 8 minutes. The small size of the battery is also a kind of advantage, as it is charged within half an hour, whereas some drones have much longer charging times. 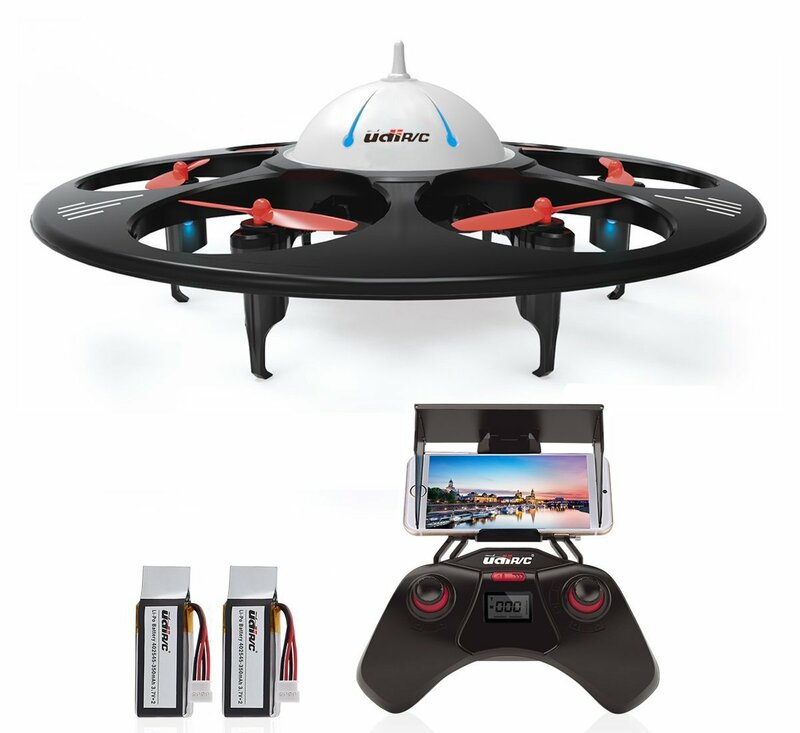 All in all, this is a great drone for your child, as they will have plenty of fun with it as well as learn a thing or two about flying drones, and not burn a hole in your pocket. Good charging time to flight time ratio (half an hour to 8 minutes, respectively). Next on the list is a drone coming from one of the most well-known companies in the drone industry. Next to UDI and Syma, Holy Stone is one of the best and the most prolific drone manufacturers in the world. They have umpteen high-quality products and one of those has made its way on our list. We’re talking, of course about the HS170 Predator. This is dubbed a mini drone, although, in size, the drone is closer to regular drones. Even so, it is very lightweight and small enough to be comfortably flown indoors, but steady enough to be flown outdoors too. The drone has the famed 6-axis gyro stabilization system that allows it to attain maximum stability in flight, and withstand gusts of wind whose speed reaches 10 mph. The drone is also special thanks to its three-speed setting. The lowest speed is the best for beginners, while the medium and fast allow the pilot to unlock the drone’s potential and really enjoy what this device has to offer to the fullest. The three-speed setting is a really good feature as it smoothes out the learning curve and makes the drone relevant for both novices as well as experienced and expert fliers. Superb mini drone, able to fly indoors and outdoors. 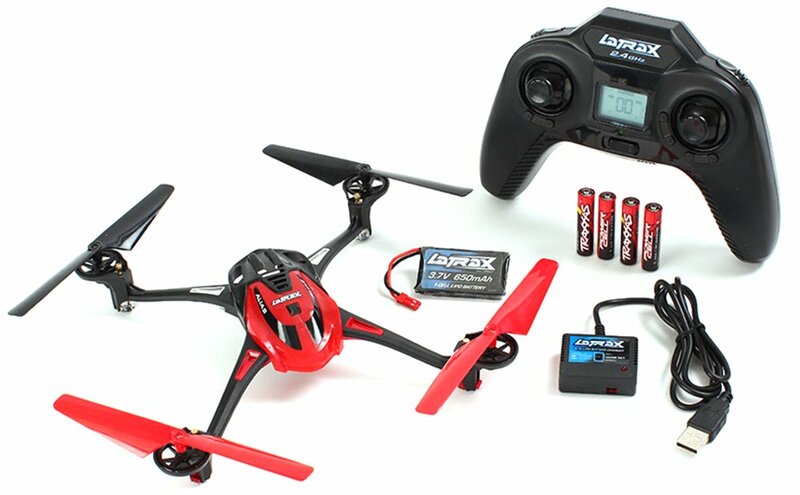 The features the much appraised Headless mode making it very easy to fly. Wind resistant, able to withstand 10 mph gusts. Has three-speed settings that improve the learning curve and make the drone relevant for a beginner, intermediate and expert pilots. 6-9 minutes flight time, 60-80 minutes flight time. Does not come with a stock camera. Just south of the halfway point is the Parrot Bebop 2 drone. If you’ve got a teen interested in aerial photography, and their birthday is coming up, you might want to treat them with this piece of equipment. A craft for more experienced players, the Bebop is a marvelous drone that every raising photographer has to have in their arsenal. The drone features a marvelous camera. The camera is 14 MP and shoots amazing videos and photos. Combined with fish-eye lens, it offers a 1080p HD capability footage that will just blow you away. Not only that, but the drone has a couple of automatized flight features. Mainly, the drone has the follow me function. This enables the drone to automatically trail you and go after you, as you survey your surroundings, looking for the next shot, and enables you to take some good action footage and provide a bird’s eye view of you driving on your car. Finally, this drone has a very good battery. On a single charge, the drone can fly continuously for 25 minutes. This is a very good flight time, as even some high-class drones don’t fly more than 20 minutes. The drone also has LED light for night flying. The craft has to have a FAA registration. Bright LED lights that allow for nighttime flying. Has to be registered with the FAA. The camera is integral with the drone, cannot be moved around. On to the next one, and the next one is the Holy Stone F181 drone. As we have already mentioned, Holy Stone drones are some of the finest aircraft on the market. The drone is perfect for beginners but has enough features to be interesting to experienced pilots as well. As a beginner’s drone, the F181 is stocked with features that smooth out the learning curve. The drone features the 6-axis stabilization system that makes the drone very steady and maneuverable. It also features the well-known Headless Mode that we praise so much. It allows you to get the feeling for the drone and flying in general before experimenting with fixed nose models. The drone also features one of the best functions found on beginner craft – the return home function. It allows you to recall the drone at the push of a button, which is greatly beneficial to novice fliers who haven’t gotten used to landing the craft manually or easily lose their bearings. The drone also comes with a fairly good HD camera for taking photos and shooting videos. The craft also has the altitude hold function that greatly helps photographers steady the machine and prepare for the shot. Superb quality, entry level copter. Comes from a very well-known brand. Up to 9 minutes flight of time. Spot number seven belongs to the Traxxas 6608 mini-drone. Everything we’ve been saying about mini drones goes for Traxxas as well – it is affordable, easy to fly, easy to maintain, and provides an excellent learning curve. The drone is equipped with the good ole six-axis gyro stabilizer, making this drone very steady in the air and in the face of wind. This also enables it to do 360-degree flips and some other fun maneuvers. It also makes it very responsive to the directions coming from the controller, and the controls themselves seem very well balanced. This drone is also renowned for its durability. It is made of high-quality materials and can sustain quite some damage before breaking. And if it breaks, the spare parts are very cheap, so replacing them is no big deal. Furthermore, the drone has been made to allow quick and painless disassembly so you can change the parts as quickly and as easily as possible. Unfortunately, the drone doesn’t have a camera mounted on it. When flying, you’ll have to rely on your own vision and spatial orientation. It also doesn’t have the headless mode. This puts the drone intermediate skill level, but because the drone handles so well, it can be flown rather comfortably by beginners as well. High-quality build, very tough to break. 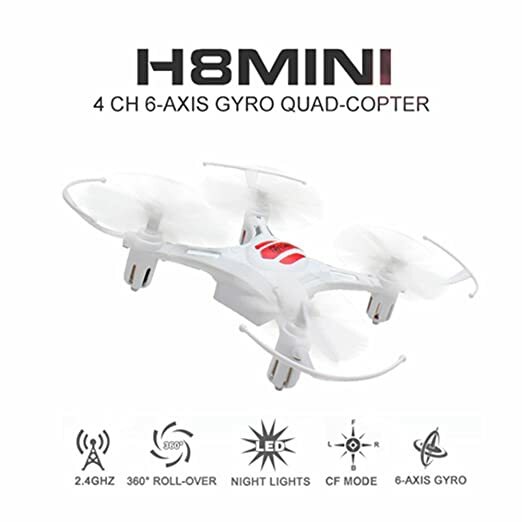 Boasts the 6 gyro stabilization system. Very responsive and very maneuverable. Doesn’t come with a camera. Doesn’t have a headless mode. More suited for intermediate fliers. Our penultimate product comes from one of the best manufacturers around the globe. 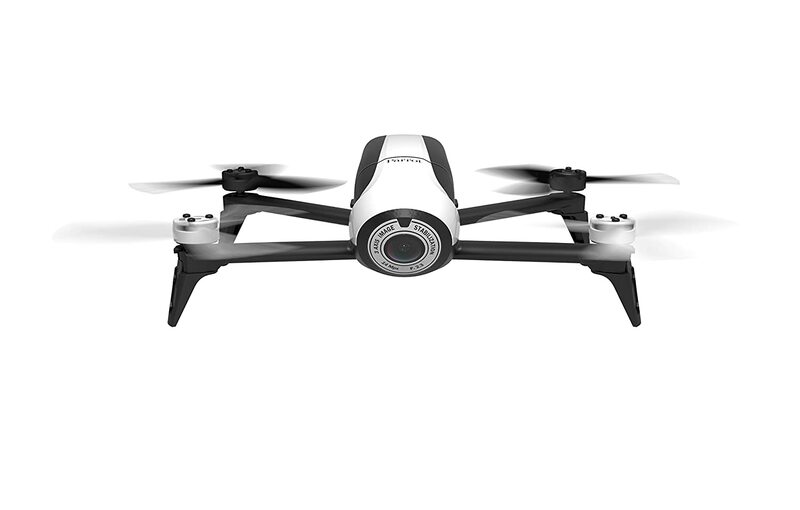 As a dedicated entry level, but also high level, manufacturer, Syma is a highly trusted brand with an outstanding track record of nothing but the best drone models. 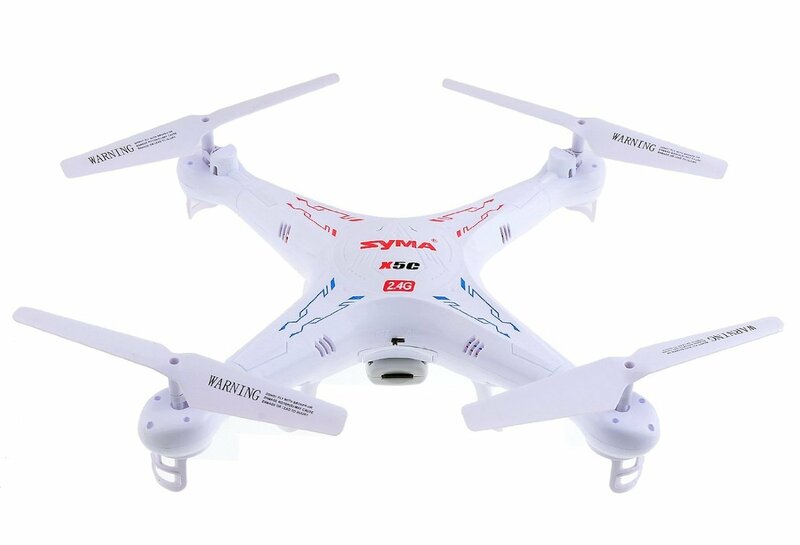 The Syma X5C is widely recognized as the best entry level drone with great significance in the expert circles as well. It provides a great curve, is extremely nimble, highly stable and marvelously responsive. The drone’s stability is due to its 6-gyro stabilization system. It makes the drone very nimble and very stable in the air, enabling the pilot to try out riskier moves despite not having enough experience for them. The drone is suited for indoor flight as much as it is suited for outdoor flight. You also have a button that makes the drone do 360-degree flips in any direction you so desire. The craft also features the headless mode. It allows you to fly the drone in whichever direction you wish without having to worry about which is the “front” side of the aircraft. This enables the pilot to become very familiar with the essence of flying without worrying if they’re flying in the right direction and becoming disorientated. The drone also comes with a great camera that lets you take footage and make videos, on top of that, the camera allows you to link it up with your smartphone to obtain a live feed of the situation. It will be like you have your own pair of eyes in the sky. The only drawback the craft has is its flight time to charge time ratio. On a single charge, the drone can fly for about 7 minutes. However, the battery takes up to 100 minutes to charge from empty to full. This problem can be somewhat remedied by adding another battery to the drone. Comes from one of the most trusted manufacturers in the world. Features the 6-gyro stabilization system. Has two-speed settings, accommodating the needs of both expert pilots and novices. The controller can be set to accommodate left- and right-handed users. Has a 2 MP camera. Bad flight time to charging time ratio. And as is tradition, here is the icing on this drone cake. The Hubsan X4 is a superb mini drone, and is just perfect for children – it is fast, fun and has very balanced intuitive controls. Indeed, flying this little craft is infinitely fun. As per recipe; the drone has been outfitted with the 6-axis flight control system, which makes the drone very stable, and improves its responsiveness, balances out controls and improves handling. The drone’s small size allows you to fly it comfortably indoors but can be flown very easily outside as well. The drone is capable of doing flips, like many other drones on our list, and in any direction. The drone features a 0.3 MP camera that streams live for better control of the drone and spatial orientation. Unfortunately, since the camera is immobile, the drone doesn’t have the headless mode that is so prominent in entry-level drones. Even so, the drone is very easy and very fun to fly. Stable, maneuverable and easily operable. Capable of doing 360-degree flips. Has a camera with live stream. The camera is of pretty low quality, as compared to some other drones within its class. The drone doesn’t have headless mode due to the camera being fixed. And that’s about it for us today, folks! We hope that we have given you some solid ideas of what to get your kid this Christmas. We really focused on finding drones best suited to kids who are just starting out in the hobby, and that will keep them entertained long enough for them not to drop it after a few days. Finally, you can rest assured that each of the listed models is 100% safe for the little ones and pretty much stand as the top pick within the listed price range – at least in our humble opinion. The only thing left to say is “have fun with your new drone” and “happy flying”!